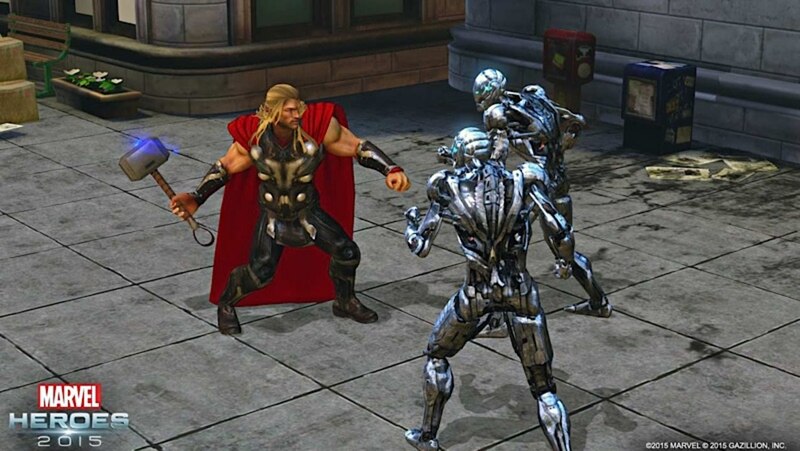 Gazillion, Inc., publisher of the critically acclaimed Marvel Heroes 2015, today announced that beginning tomorrow it will celebrate the release of Marvel’s Avengers: Age of Ultron film with one of the game’s biggest content releases since its June 2013 launch. 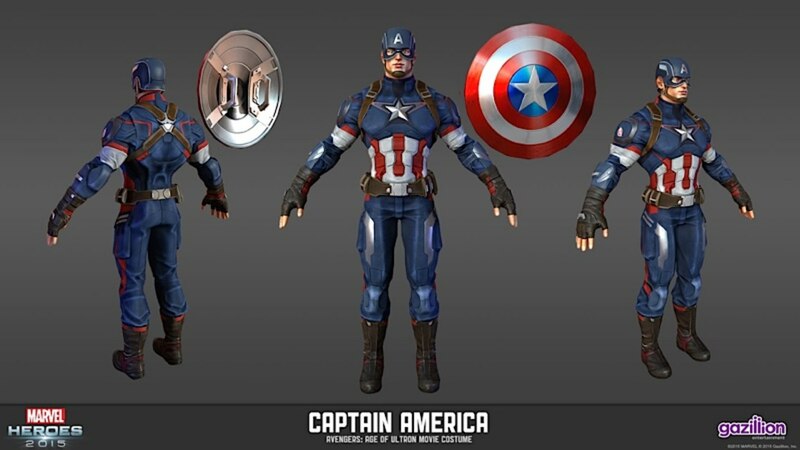 Highlighted by the ability for new players to experience the entire game for free as any one of the core Avengers, new content for the PC action/role-playing game also includes character additions and revamps, movie costumes, new gameplay inspired by the film and more. 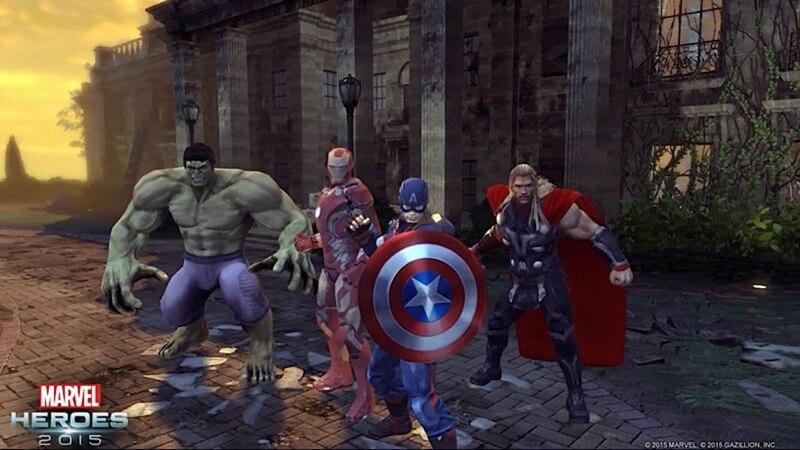 - Play All Game Content as Six Core Avengers characters for FREE: At no cost, experience the entirety of in-game content as Iron Man (his first time as playable for free), Captain America, Iron Man, Thor, Hulk, Black Widow and Hawkeye. 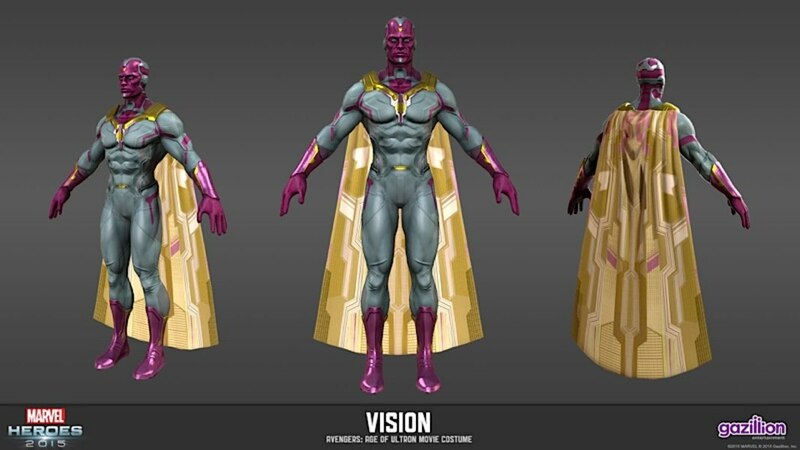 - Behold… The Vision! 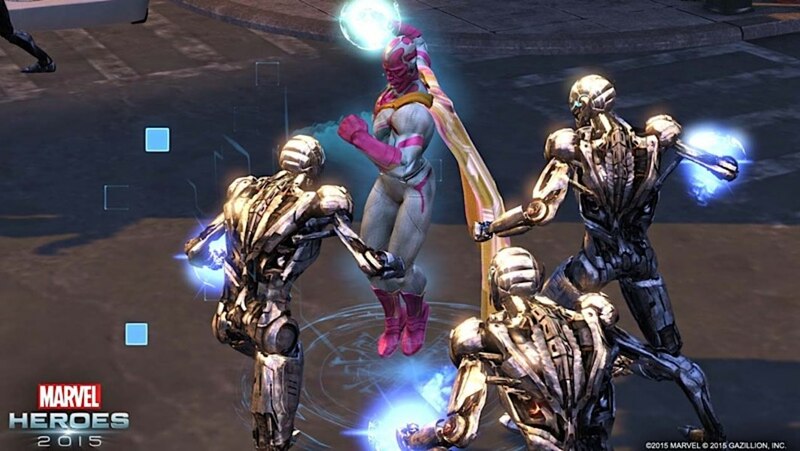 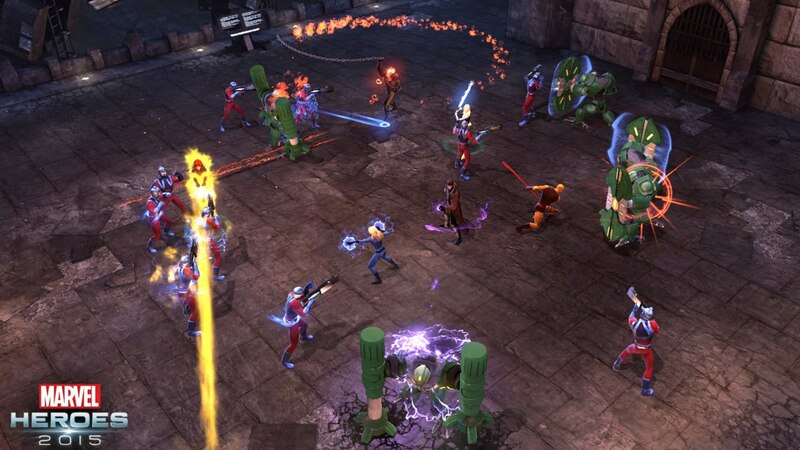 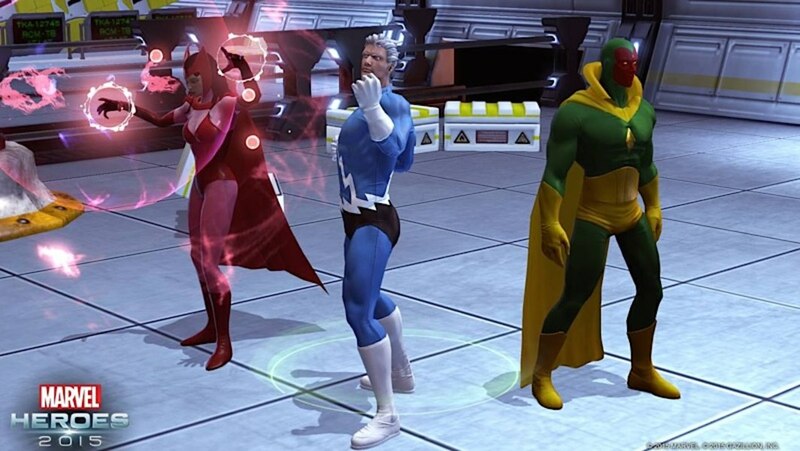 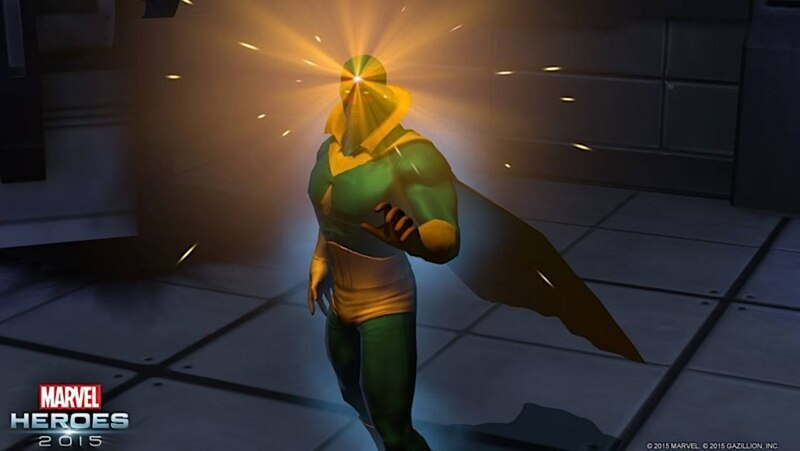 Vision joins as Marvel Heroes 2015’s 47th playable character. 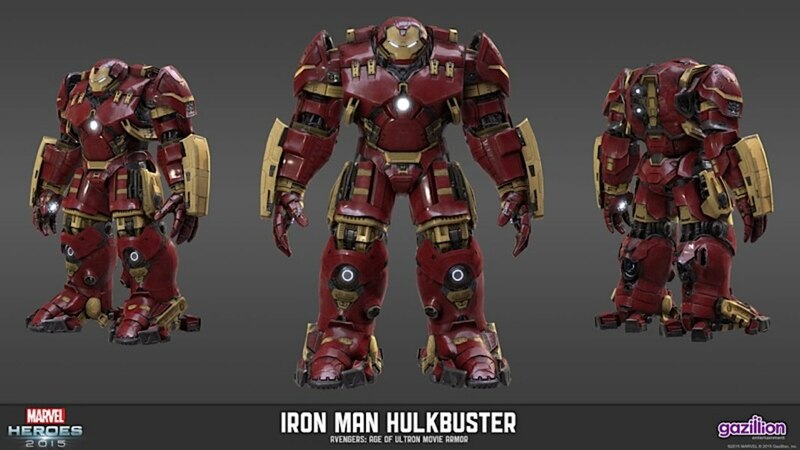 - Nine Movie-Inspired Costumes: Captain America, Iron Man Mk 43, Iron Man Hulkbuster, Thor, Hulk, Black Widow, Hawkeye, Vision and Scarlet Witch. 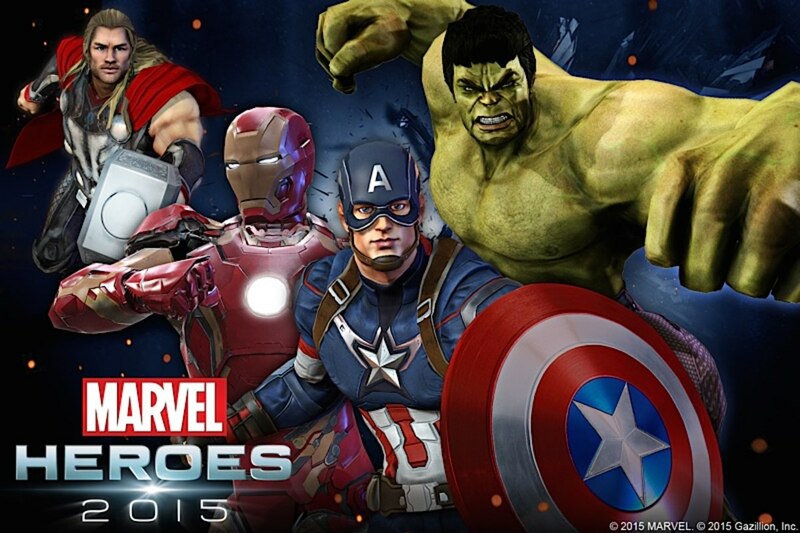 - Avengers: Age of Ultron Game Mode: Designed for advanced players. 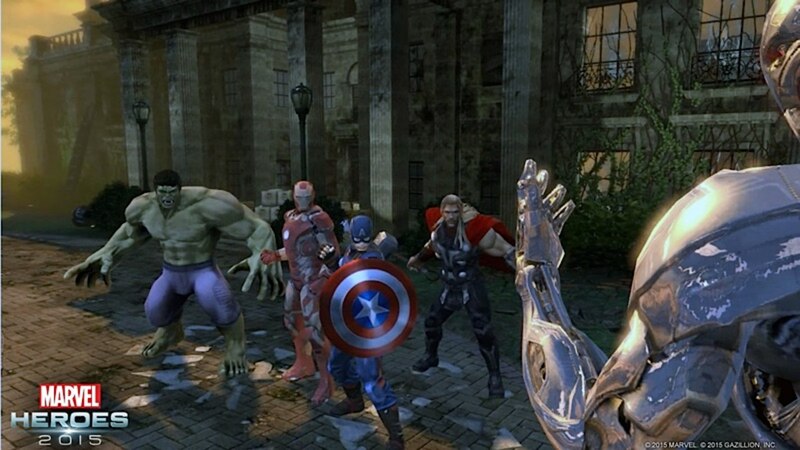 Team up in groups to defend the citizens of New York from waves of Ultron Sentries attacking Central Park, then take on Ultron himself at the ruins of the Avengers Mansion. 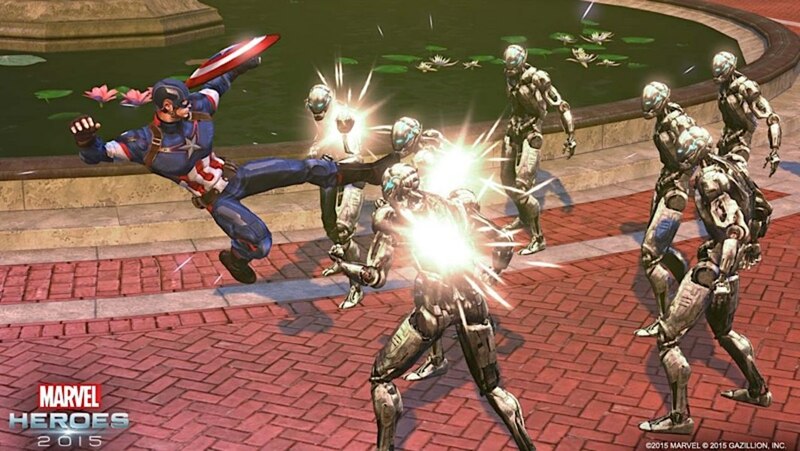 - Ultron Attacks! 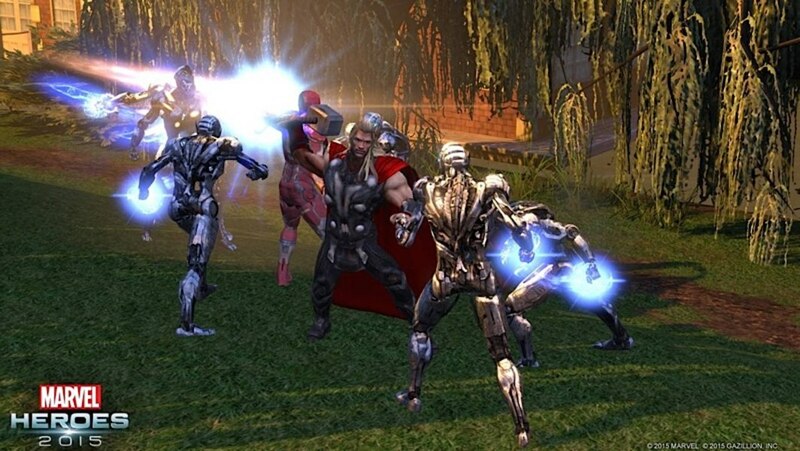 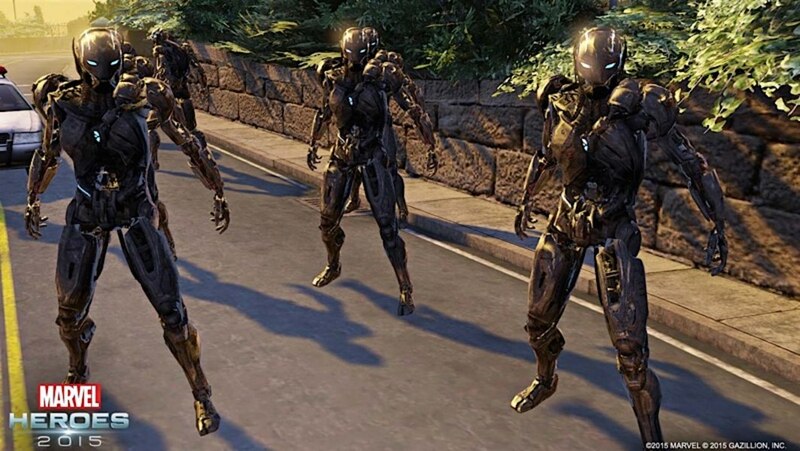 Random Events: Ultron Sentries appear throughout normal game modes, allowing players of all skill levels to experience action inspired by Avengers: Age of Ultron at any point during gameplay. 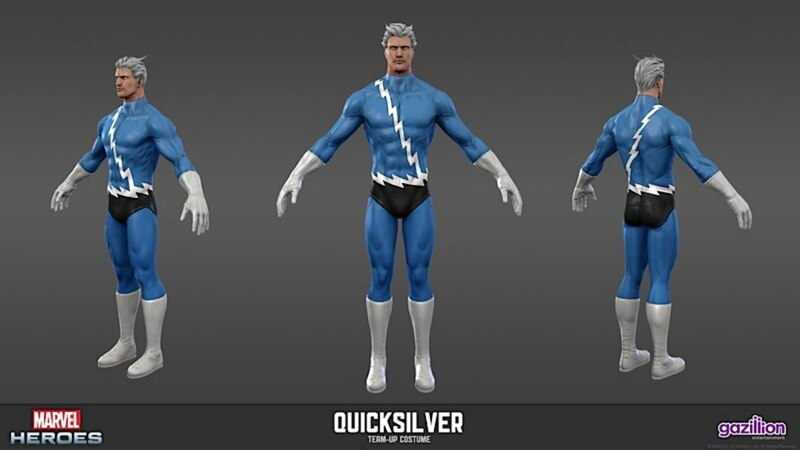 - Quicksilver Team-Up: Quicksilver fights alongside you, taking out enemies with his blazing speed via a newly revamped Team-Up system. 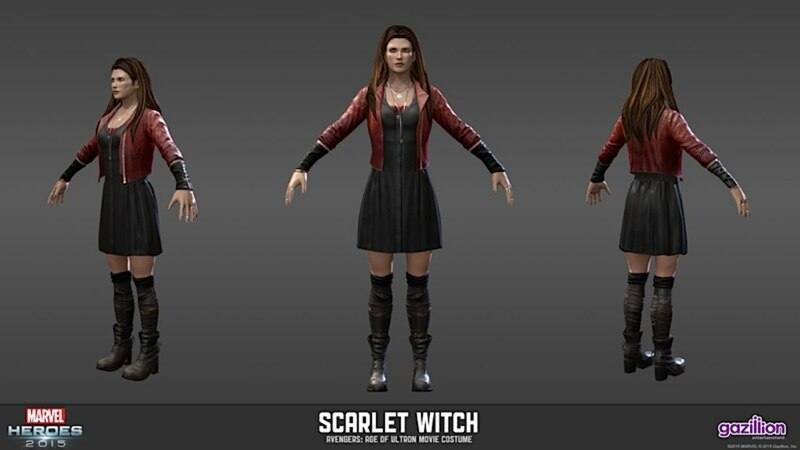 - Scarlet Witch Full Design Review: Many of her powers and mechanics have been redesigned, including new movie-inspired abilities and the addition of an extra-devastating Ultimate Power. 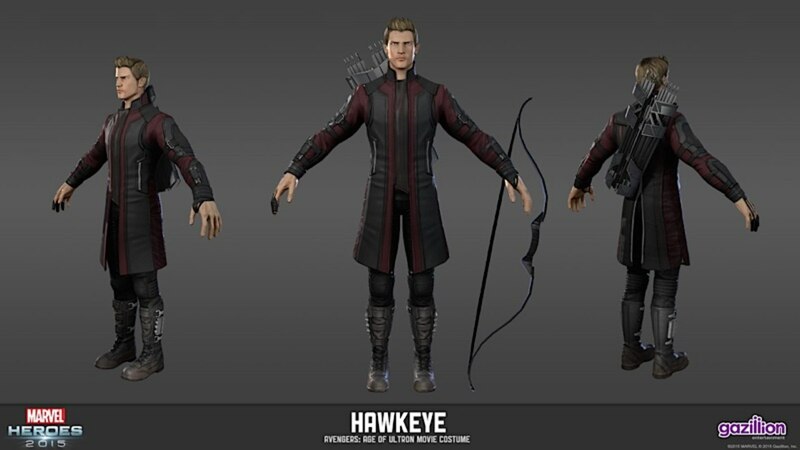 - Hawkeye/Black Widow Mini-Design Reviews: Hawkeye receives his 9-shot rapid fire speed loader thanks to his new quiver, and Black Widow gains new stun batons. 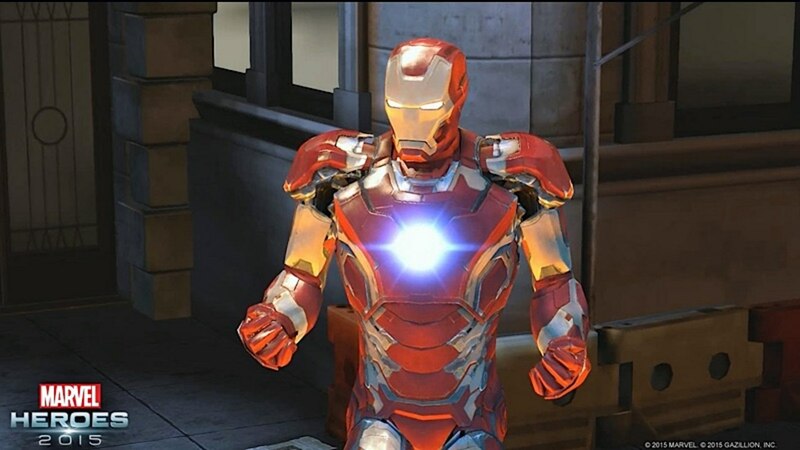 - Play as an Avenger, Get an Experience Points Boost: Just like it sounds. 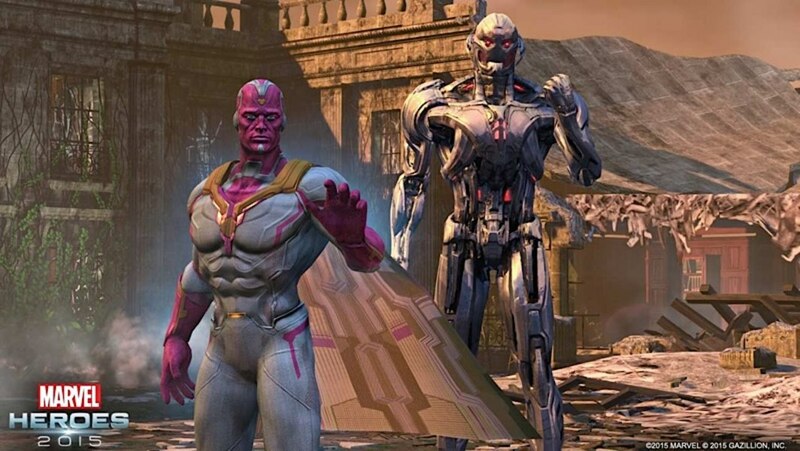 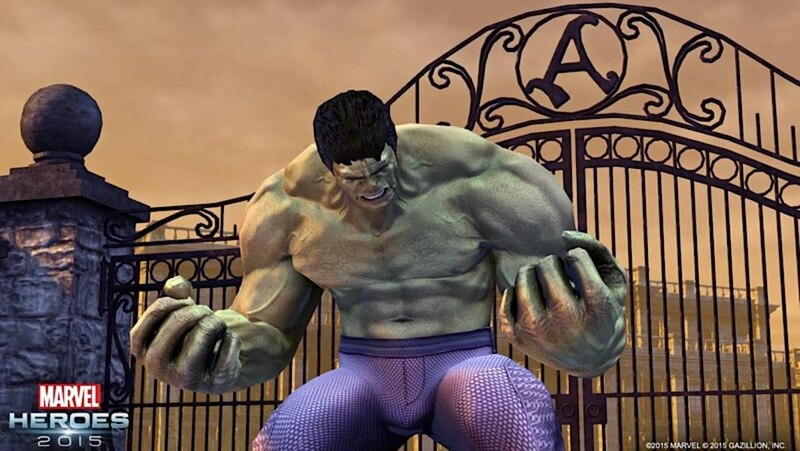 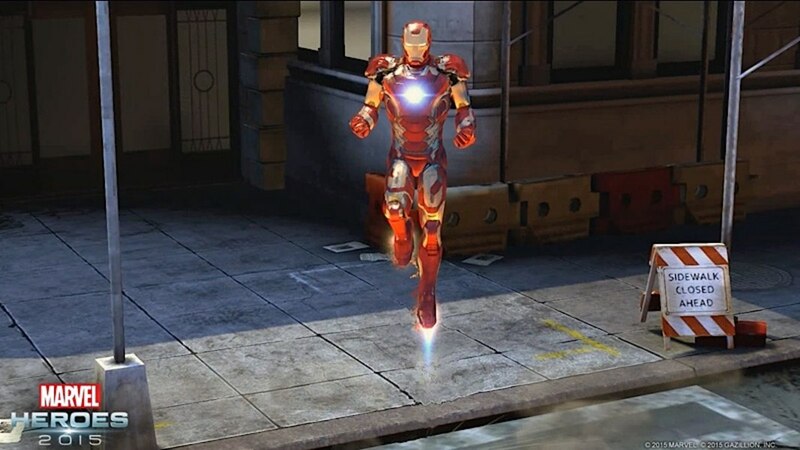 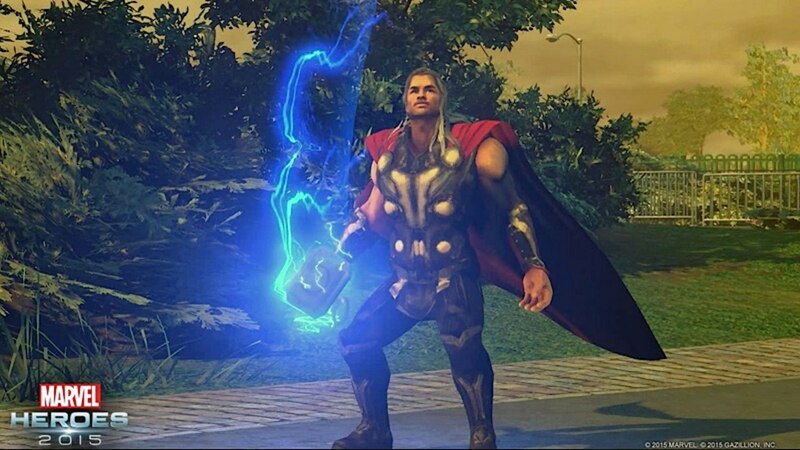 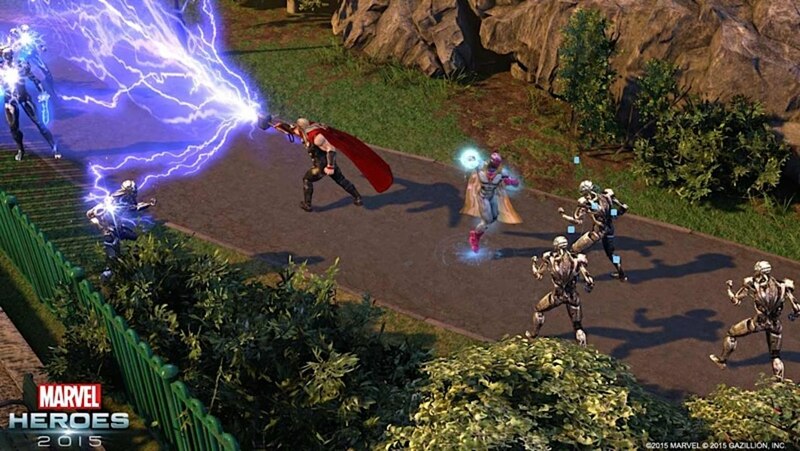 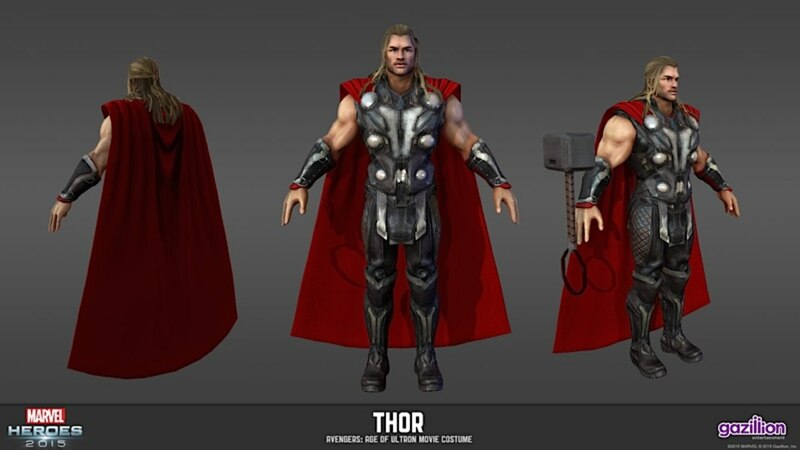 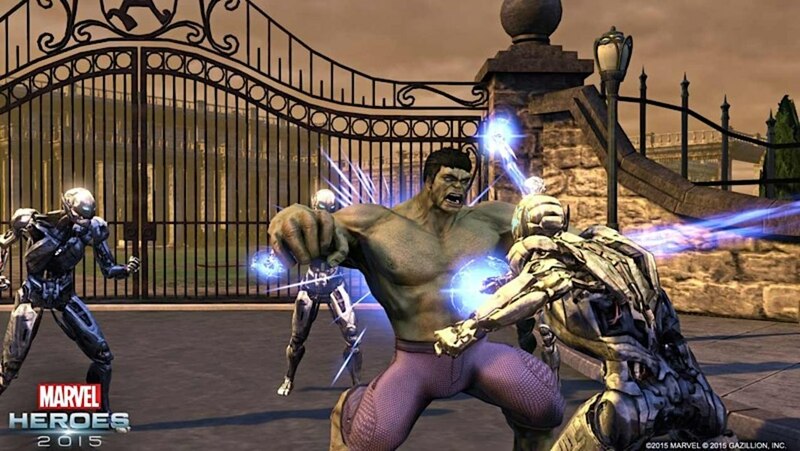 The Marvel Heroes 2015 update on Friday, April 24, will initiate the rollout of this new content, alongside the release of Marvel’s Avengers: Age of Ultron in most European countries and other worldwide territories. 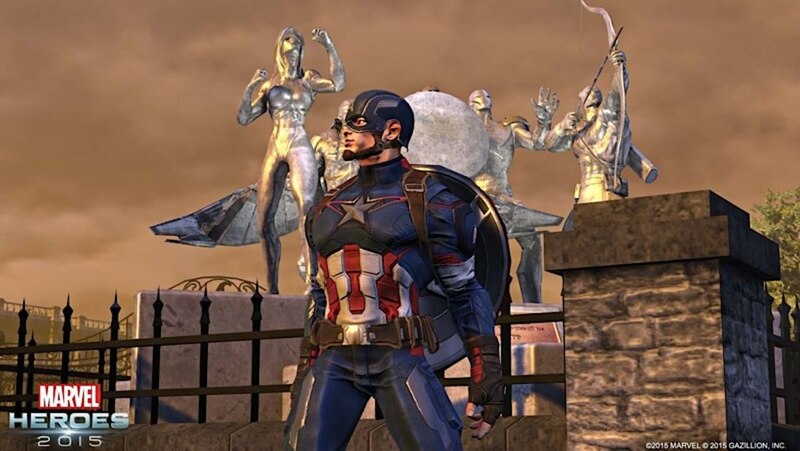 The gameplay modes are scheduled to go live a week later, closer to the May 1 movie release in North America and much of the rest of the world, and other movie-inspired updates will be added throughout the movie’s launch window. 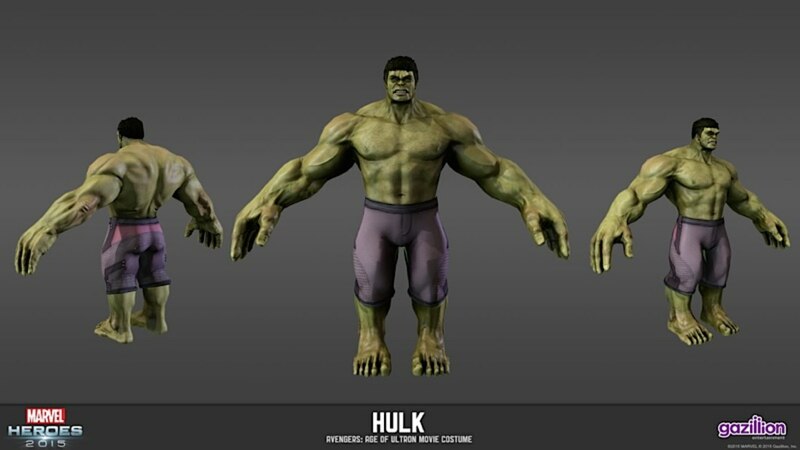 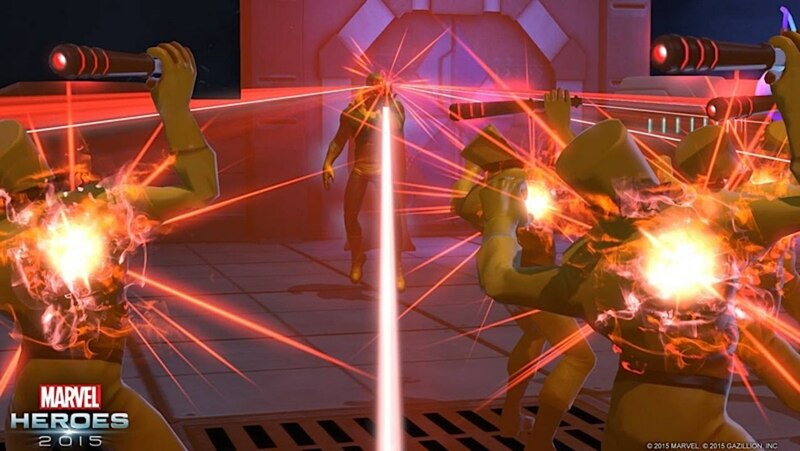 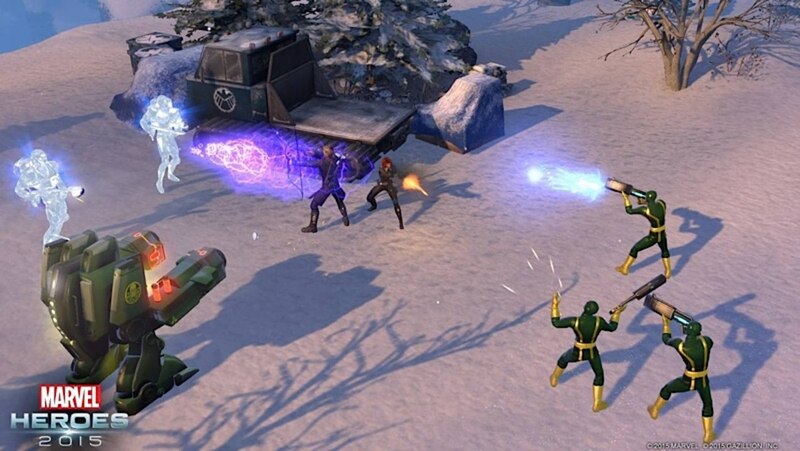 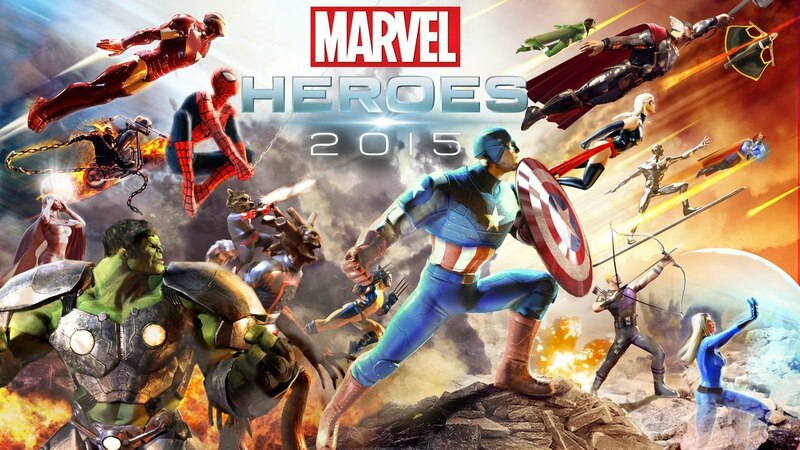 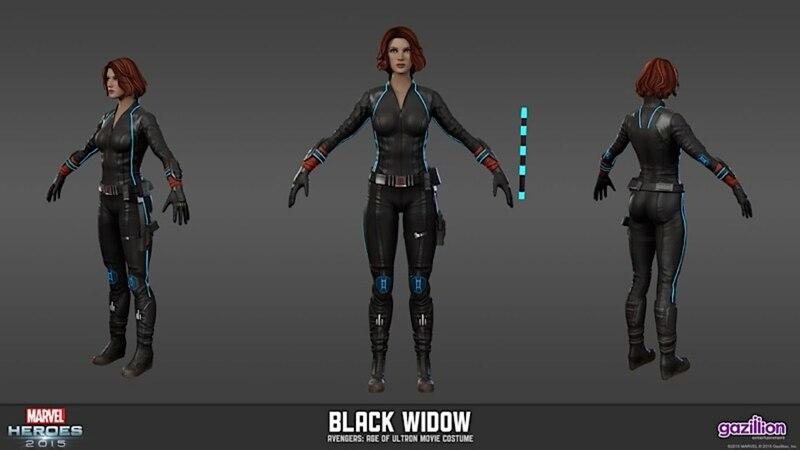 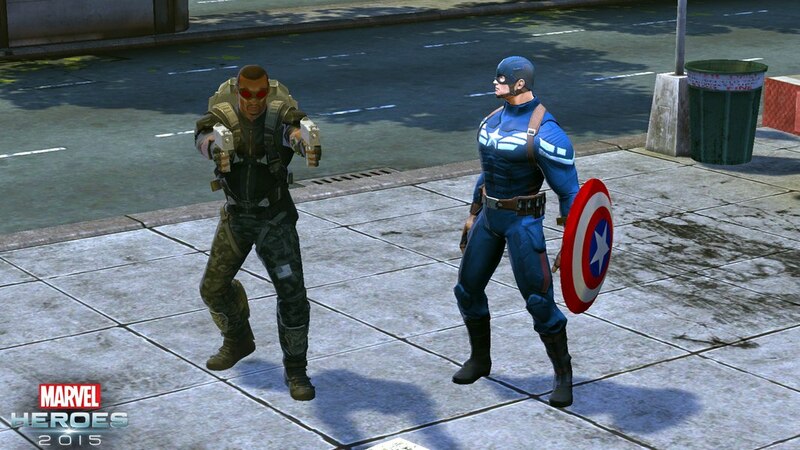 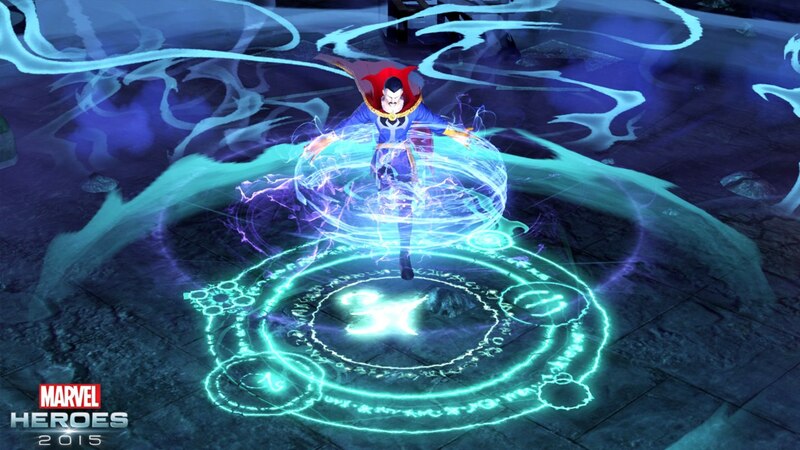 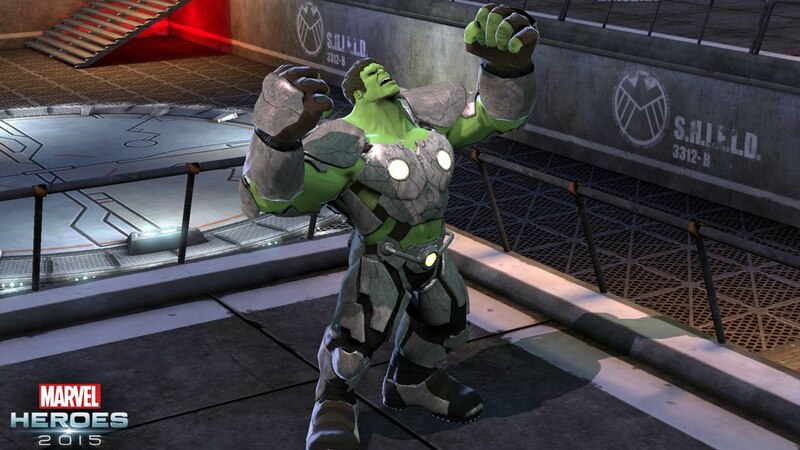 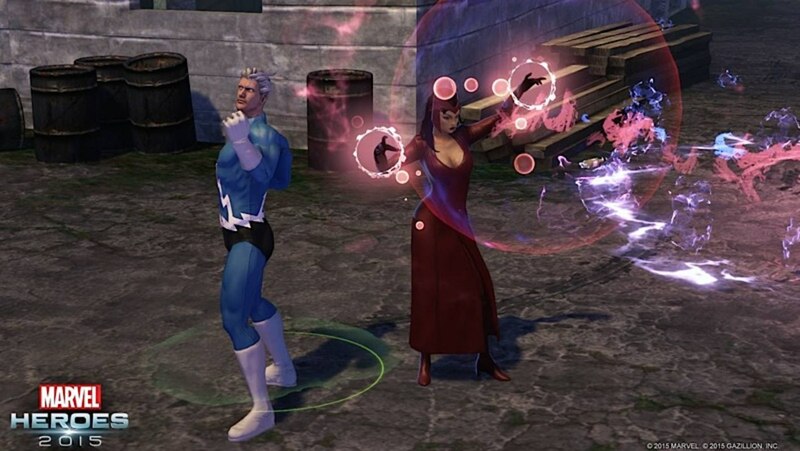 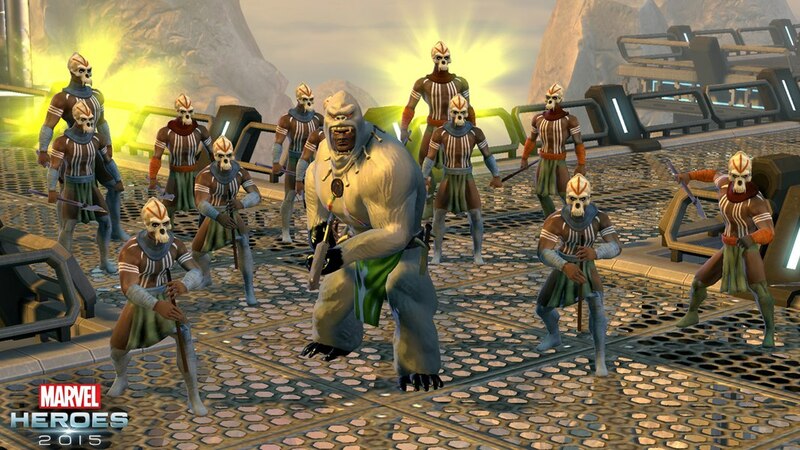 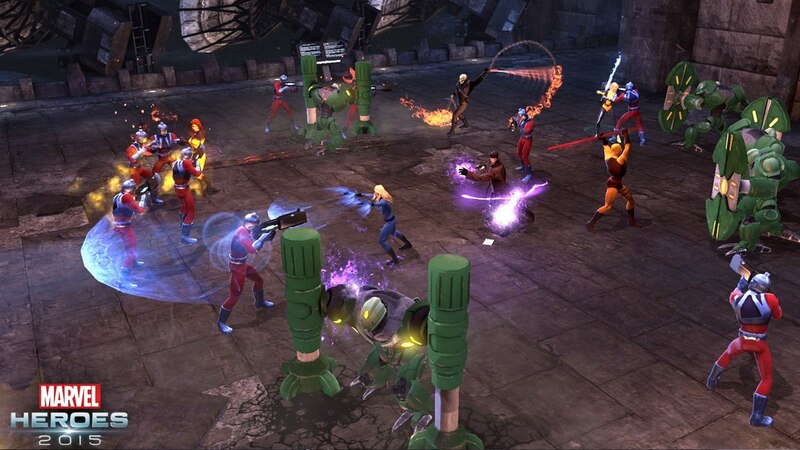 For more information, please see www.marvelheroes2015.com. 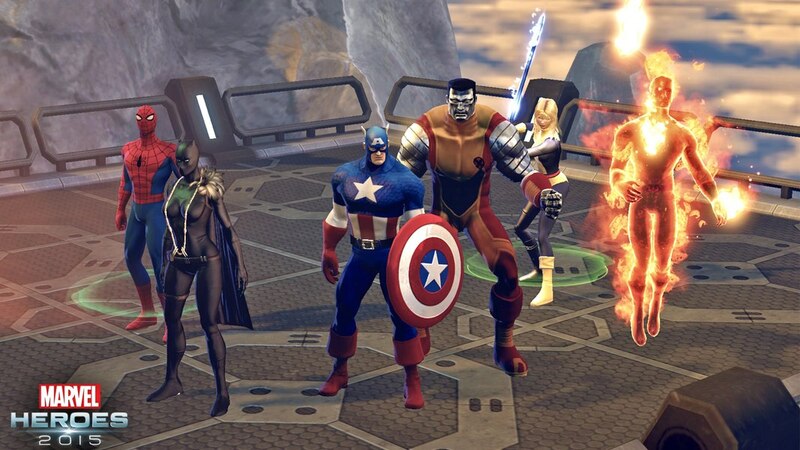 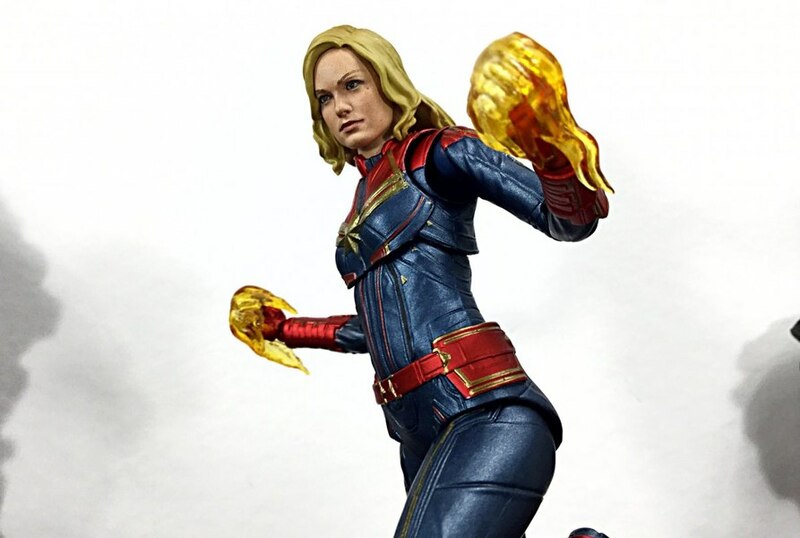 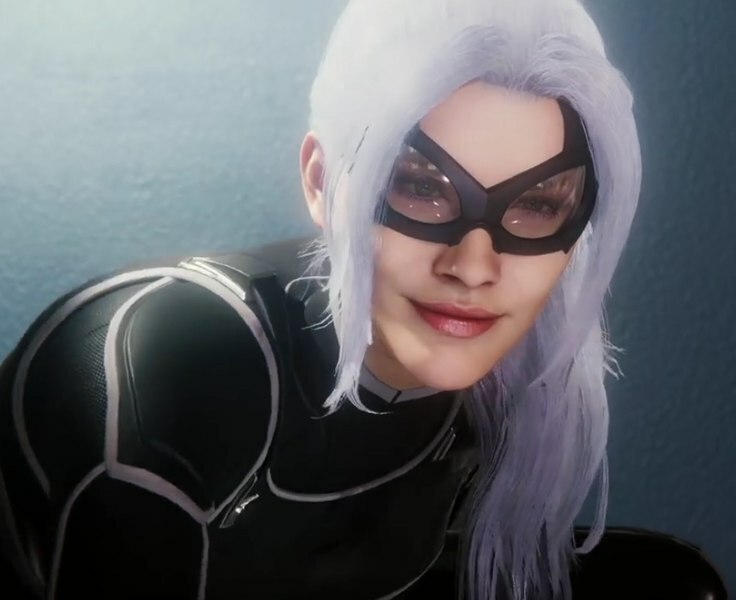 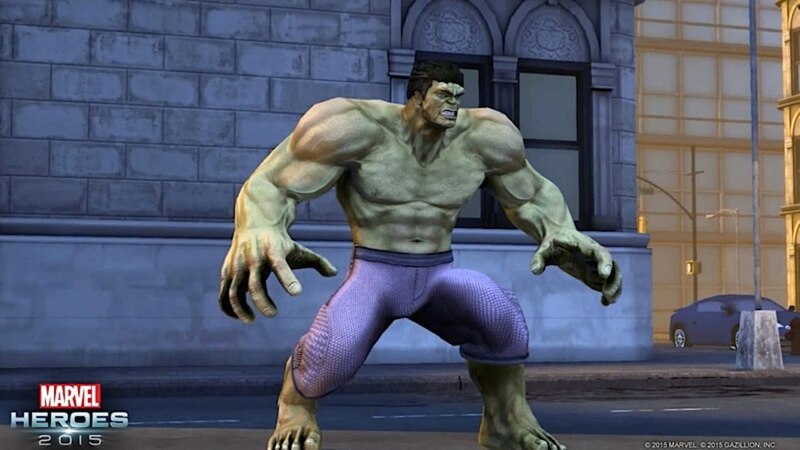 Please note: As Marvel Heroes 2015 is primarily focused on the classic Marvel Universe, all characters default to their looks inspired by the comics. 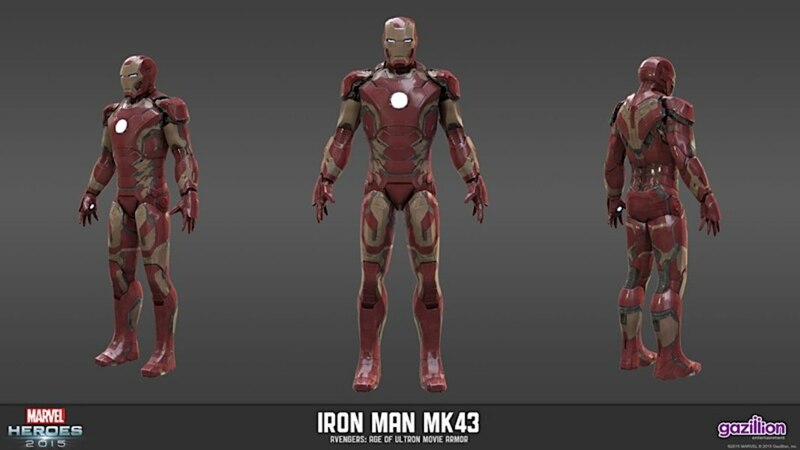 All movie-inspired costumes must be purchased separately.